Shopping for " Iam Mr." via East Dane — Image Consultant & Fashion Stylist for Men in India-I am Mr.
A most awaited blog-post for some real online shoppers. 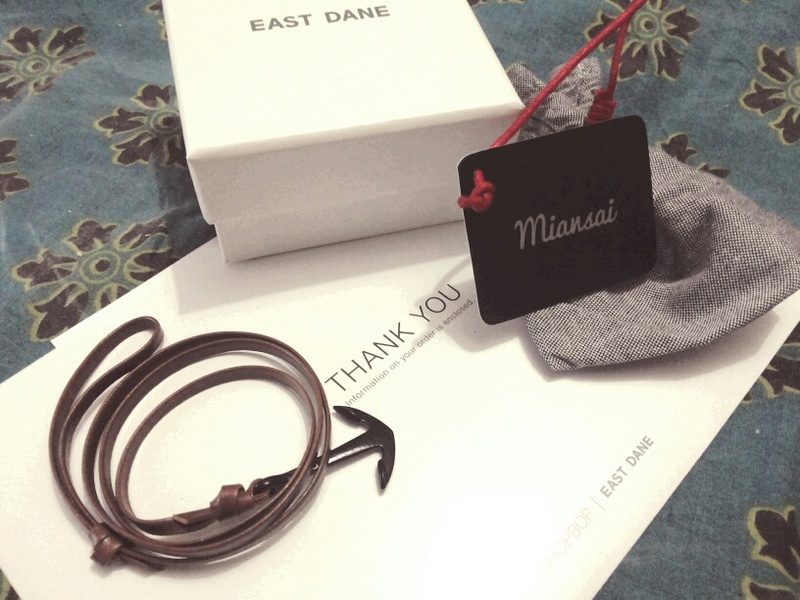 As you guys know that recently “I am Mr.” collaborated with East Dane to showcase their market presence in providing us men with amazing stuffs, from accessories to shoes to shirts to even books. First and the foremost you will need to create an Account on EastDane, which like any other sign-up, is a child’s play. Let’s get started now. 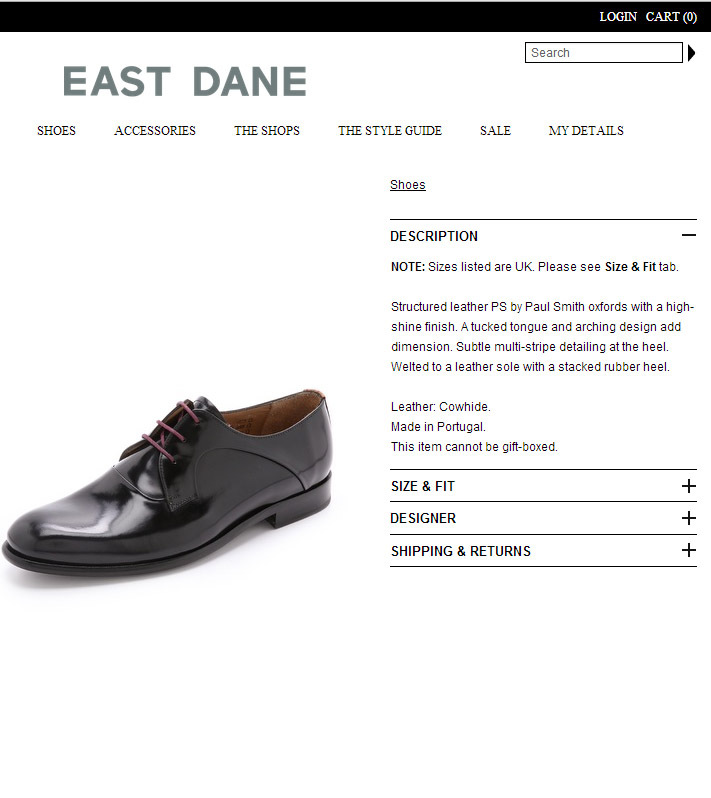 I have seen a lot of website’s nationally & internationally, from individual brand owners to online-multi brand retailer and honestly, East Dane as an initiative by Amazon.com looks quite simple but classy unlike Amazon. It is neatly coded with precise labelling to manoeuvre through the site smoothly and without being bored. The Homepage Photo-shoot illustrative showcasing latest in-store collectibles is too straight-forward if you are looking for a season-shopping and even if you are a picky-shopper, the tabs would be as helpful as a shopping assistant at a store, more friendly and not pushy though. d) Designer: I did not select any, wanted to go unbiased. And BANG…there on the first page was what I was hunting for. Time saver. Aaah this one is tricky but interesting. EastDane showcases brands & designers from various countries hence sizing would differ on all products. So what you do there to get the best of your size? EastDane in their product description clearly mentions the origin of the product and shows sizing chart according to that so you don’t end up cursing your purchase. True to American sizing. Buy your normal size. UK sizing. Runs large. Buy 1 size smaller than normal. Easee-bezee..I personally loved this feature. And here it comes, the check-out showcasing your cart and putting you on dilemma about what to keep and what to let go as per budget. But hay wait, you don’t trash away what you can’t afford on the shopping budget this time, just add that product to your WISH-LIST. Yes, it’s a feature that keeps your desirables at a place in your account and EastDane will notify you time-to-time if it’s running away or staying safe. Rest the check-out is pretty usual like any other shopping portals, straight-forward with no nonsense. This is where you get the summary of your final purchase and the amount to be paid. It is simple if you are a shopper from US but for internationally shoppers like me, I would recommend you to go through their “INTERNATIONAL SHIPPING TERMS & CONDITIONS” in customer service section. It would roughly help you to get an idea of Customs & Duty that you will be paying on receiving the purchase. But yes they do provide with “FREE INTERNATIONAL SHIPPING”. I however wish if EastDane could just add a feature wherein it calculates the Duties for the shoppers and notifies it on the Invoice might make the shopping experience better. Now once you are through with the payment, you will be provided with the Order as well as Tracking Number to trace your order. Tracing the order by logging on to EastDane will give you exact location and updates on your shipment. Their customer service is also 24 hours and 7 days a week with a very helpful staff to cater your queries. They say that the delivery would take upto 3 days or less but mine took almost 10 days because unfortunately I placed the order on 3rd of July and I am assuming that that they were off for the 4th of July “long weekend”. But still I have no complains on that, 7 days is a reasonable time. DHL happens to be their shipping partners hence there’s no reason you should not trust their shipping commitments. Yes, the packaging is a brown colored filthy looking cardboard box with a DHL sticker but then those are the typical trading-shipping norms one has to follow. Also as one says, it matters what’s inside and not what’s on the outside. The products inside the box are traditionally packed, where the clothing are packed as they would be packed at the show-rooms – wrapped into a plastic bag. 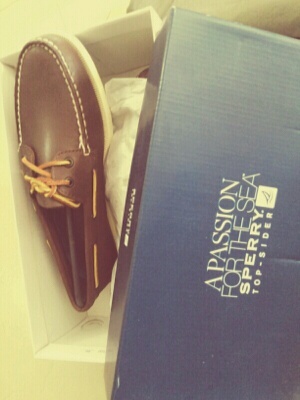 Shoes on the other hand are packed in the same box that of the brand (and Sperry provided the shoes with the shoe-shape holder, which was cool). The best part was the way they packed the accessories. I purchased a Miansai Wristband and see how they have packed it. Looks so elegant. I wish they could write up a personal note to all the shoppers to give that personal touch of care and customer appreciation, though they do send a “thank you” card. EastDane offers stuffs from a range of international brands and designers keeping the quality and authenticity as a high-concern. Honestly speaking, I am satisfied for the every penny I spent at EastDane or say even the hours that I logged for shopping. The products are of high quality, fresh (which you don’t get usually in online shopping) and of perfect fit. 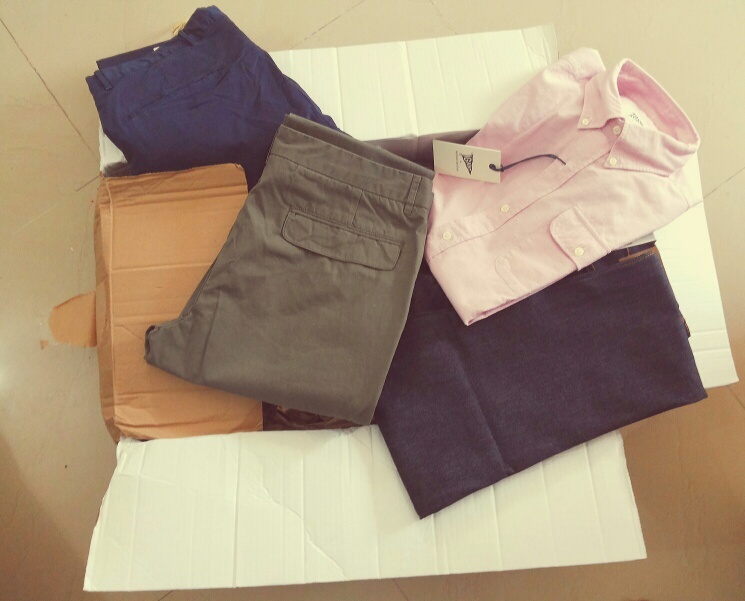 Though it is a bit heavy on pocket but who cares when you can get a Nudie Jeans and a Michael Bastian at your door-step (yes, obviously in India). We will appreciate if you can share with us your personal online shopping experiences, suggestions and comments. tagged with Men's Wear, mens shopping, Men's Fashion, Men's styling, Image Consultant for Men, Style Advice for Men, East Dane, personal shopper, Online Shopping, Iam Mr.